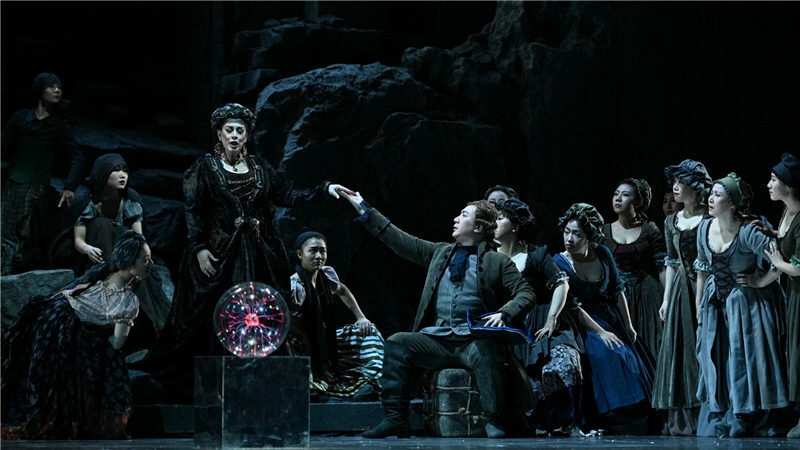 The 116-day NCPA Opera Festival 2019 kicked off with the lively music of Un Ballo in Maschera on the evening of April 10th. 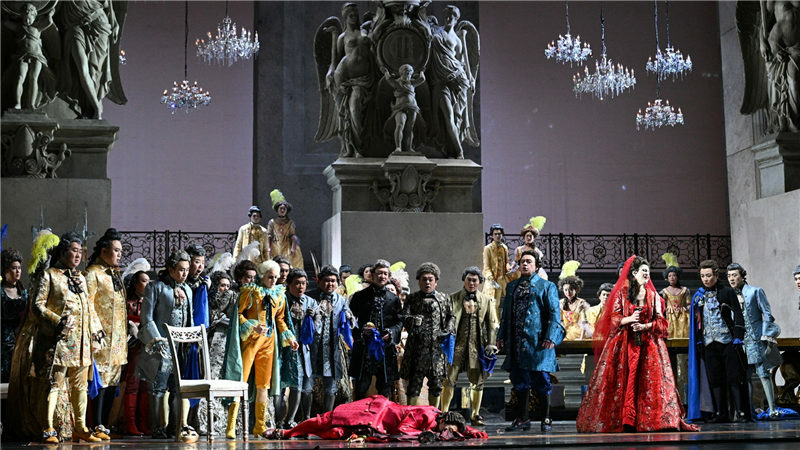 It was also the fourth time that this classic opera of Verdi, produced by the NCPA in 2012, had been put on stage. 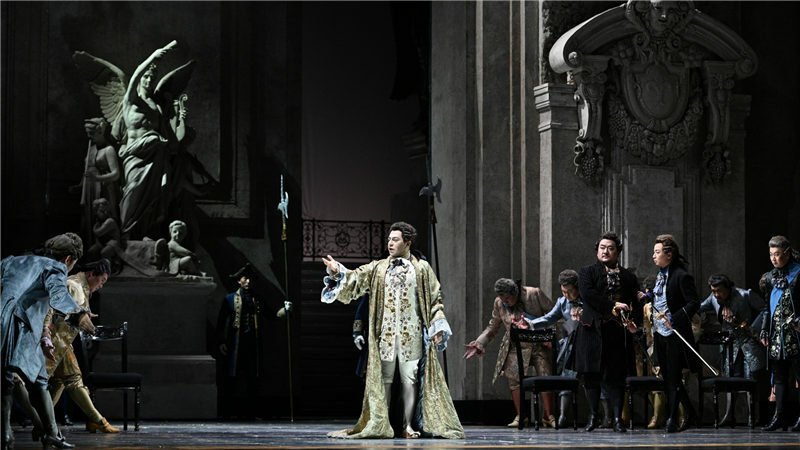 Un Ballo in Maschera is adapted from a historical event, which took place in the 18th century that the King of Sweden Gustav III was attacked by assassins. 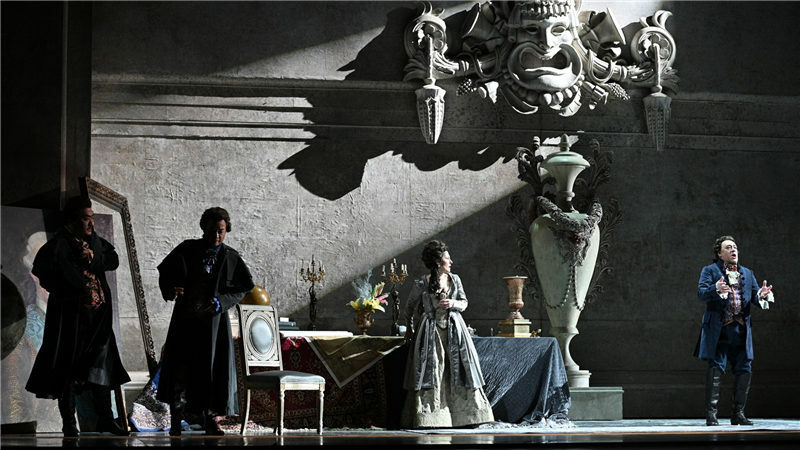 Composer Verdi and librettist Somma fabricated love affairs between Gustav III and his minister Renato’s wife Amelia based on the history, making the opera more dramatic and thought-provoking. 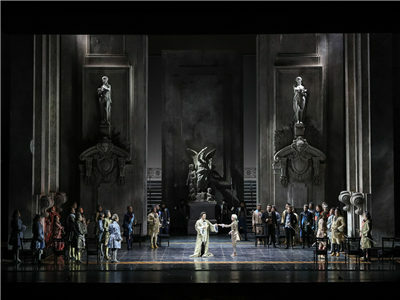 When the audience walked into the theatre, they had their eyes first fall upon a projection screen designed after the manner of the opera house in the 18th century. 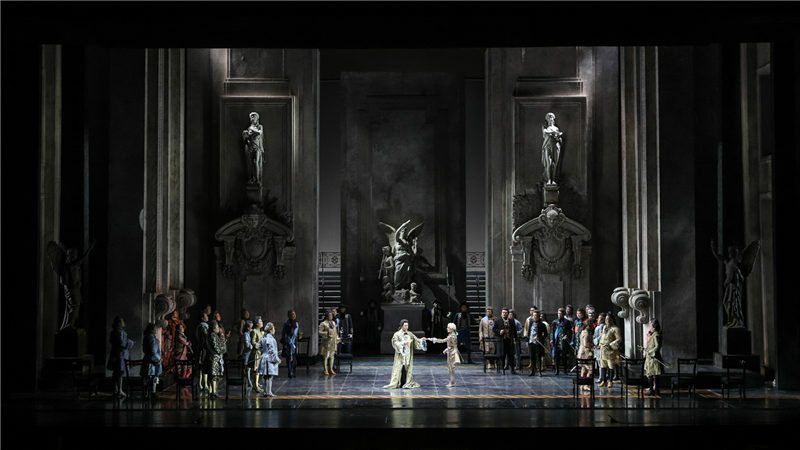 Stage director, set designer and costume designer of this production Hugo De Ana set the stage with strong artistry in the opera, revealing Gustav III’s passion for the arts. 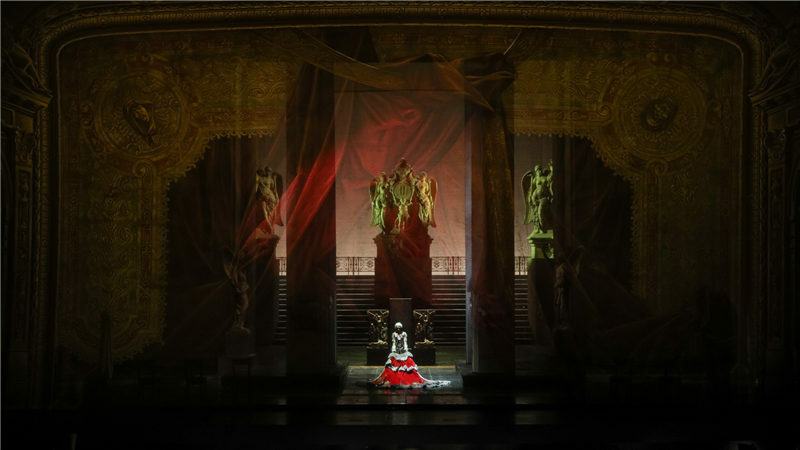 As the story unfolded, grand masquerade scenes, including a splendid and magnificent palace, fantasy witch cave and gloomy but romantic wilderness, appeared one after another on stage. These reflected the historical features of Stockholm and impressed the audience with a strong visual impact. 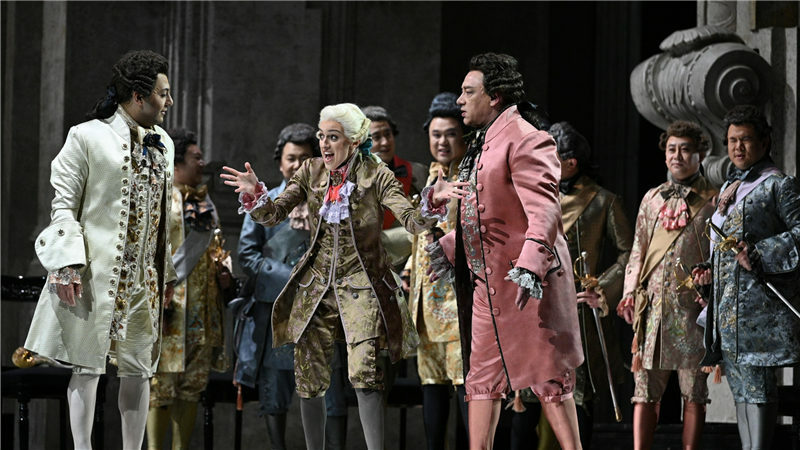 LÜ Jia, Artistic Director of Music of the NCPA, has profound insights on Italian operas. He raised his baton over the China NCPA Orchestra and Chorus in performing the music of joy and sorrow with virtuosity. 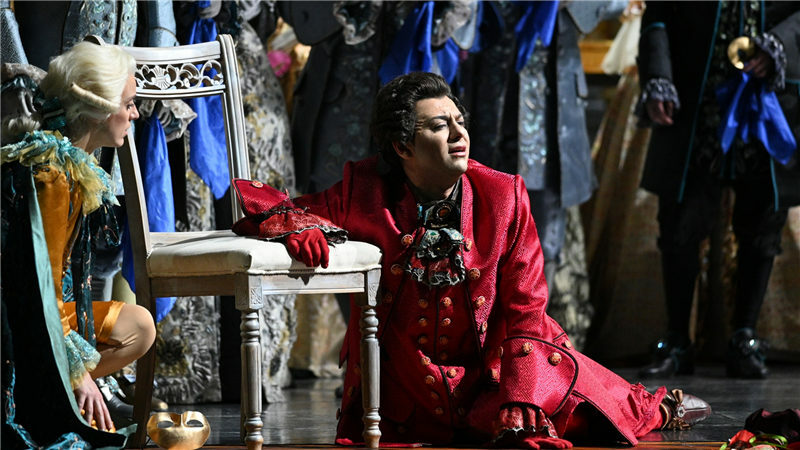 Tunisian-French singer Amadi Lagha sang in a lustrous voice, showing Gustav III’s affectionateness and kind disposition. 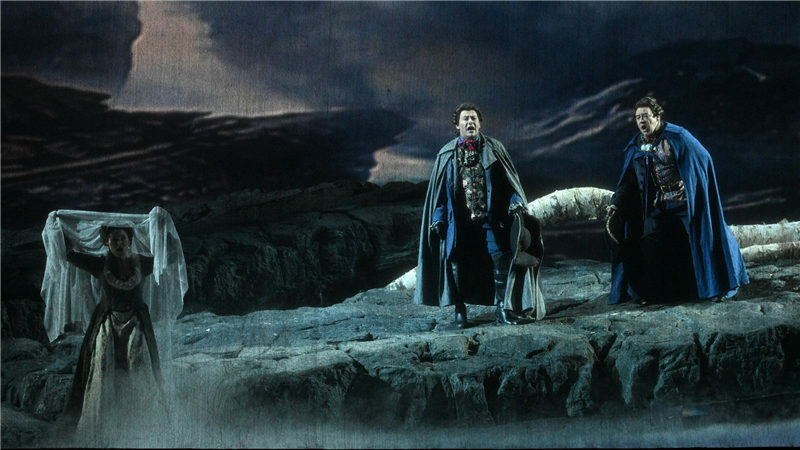 Svetla Vassileva (Amelia) and Sergey Murzaev (Renato) also performed brilliantly, revealing the characters’ inner most ambivalence and hatred. 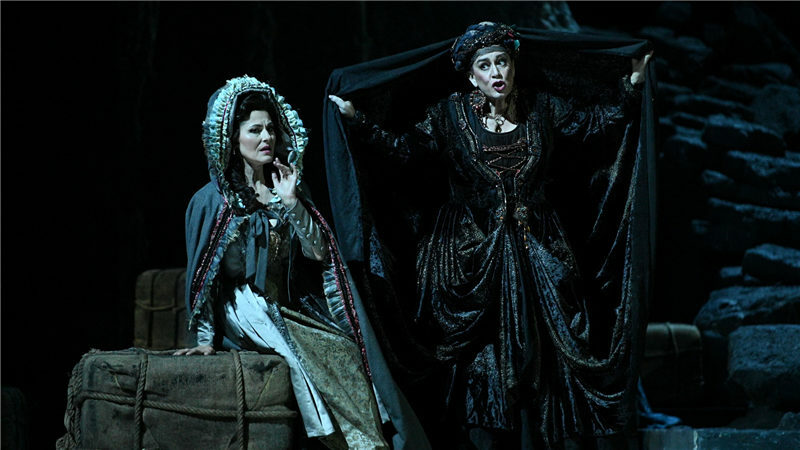 Meanwhile, Anna Maria Chiuri, who played Ulrica, and Damiana Mizzi, who played Oscar, vividly depicted the witch’s mysteriousness and Oscar’s inner joy. 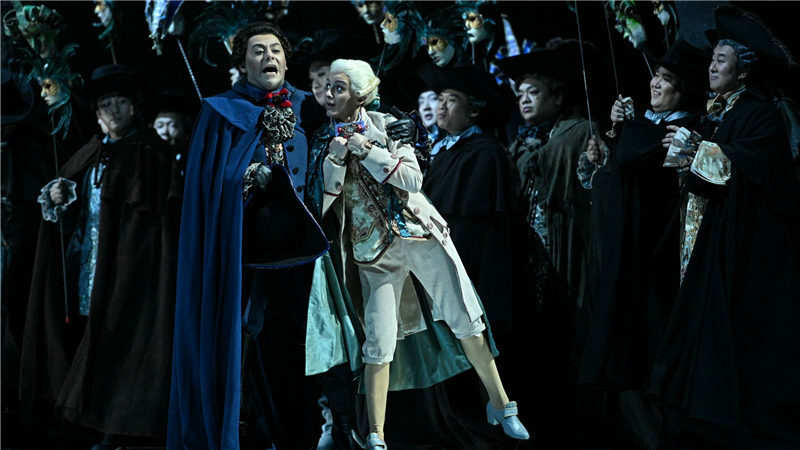 On the evening of the 11th, Un Ballo in Maschera will star renowned Chinese signers Warren Mok and SUN Xiuwei, as well as ZHANG Yang, NIU Shasha and ZHANG Wenqin. 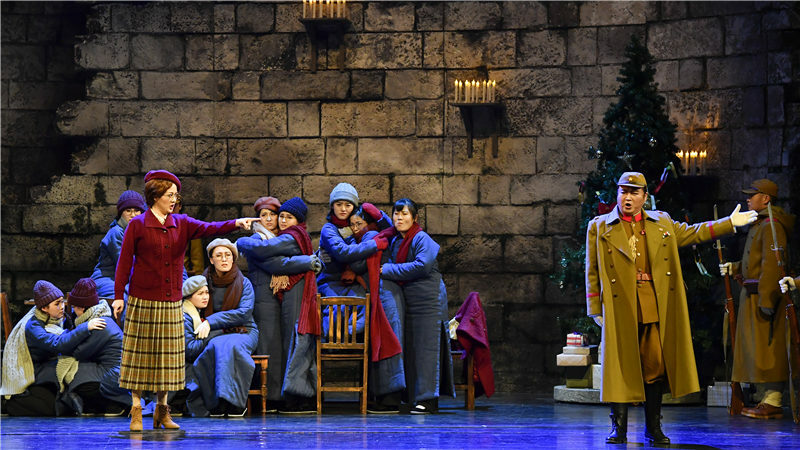 Following Un Ballo in Maschera, eight Chinese and foreign operas and two concerts given by NCPA Resident Singers will be put on stage at the NCPA Opera Festival 2019. 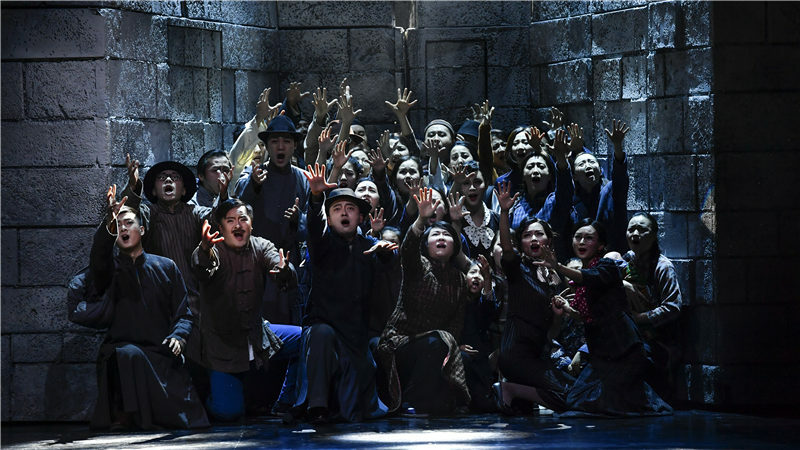 On April 24th, the touring production of opera commission 170 Days in Nanking, a co-production of Jiangsu Centre for the Performing Arts and Jiangsu Performing Arts Group, will appear at the Opera Festival, to form up the part of the "Celebration of the 70th Anniversary of the Founding of People's Republic of China” as the NCPA specially arranges. 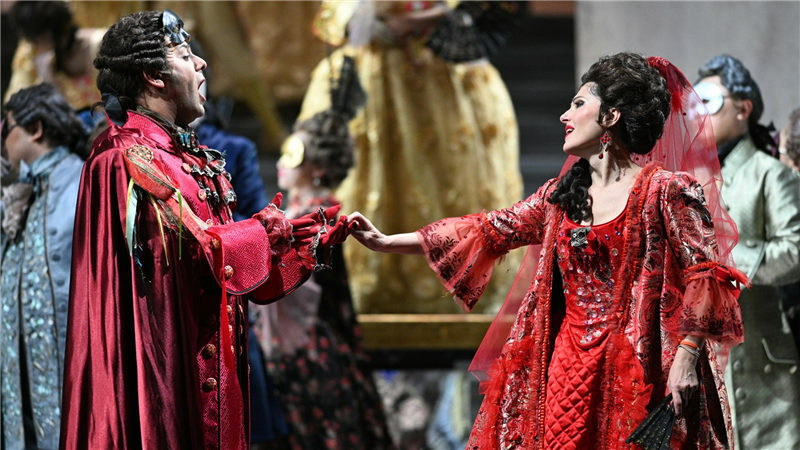 The opera looks back on the historical pain and sings the praises of the present peace in a global language from international perspective. 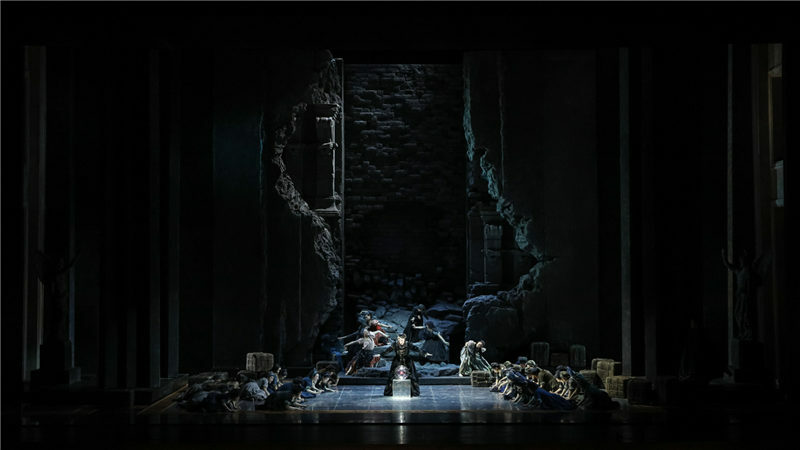 Produced by composer TANG Jianping, librettist ZHOU Ke, conductor XU Zhong and director ZHOU Mo, this heart-shaking war requiem will star A-list artists including XUE Haoyin, XU Xiaoying and Hao Jiang TIAN to eulogize peace and hope.